You're welcome and God bless you. 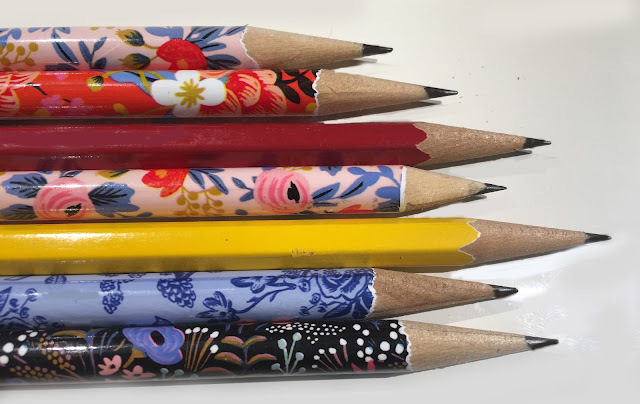 Making a Point on MEDIUM: "My New Pencil Sharpener: What a Tool!" MEDIUM: "Raquel Welch and Mayonnaise"
HUDSON VALLEY WRITERS CENTER: "Fall 1966: The Cool + Groovy Look"
HUFFPOST: "My Stroke: I'm Still Here"
HUFFPOST: "Squirrel Appreciation Day: Don't Miss Celebrating!" BEDFORD MAGAZINE: "Getting to Know You: Oscar Andy Hammerstein III"
HUFFPOST: "National No Bra Day: Celebrate Without Restraint"
HUFFPOST: "My Wedding Gown Still Fits 25 Years Later (Go Figure!)" HUFFINGTON POST: "When You Die, Don't Leave Loved Ones in the Dark"
BEDFORD MAGAZINE: "Small Town Code: Words to Live By"
HUFFPOST: "Confessions of a Hopeless Night Owl"
GREENWICH MAGAZINE: "Red Barons at Work"
HUFFINGTON POST: "Sound Sensitivity: The Rap on Misophonia"
HUFFINGTON POST: "When a Couple Goes (Selectively) Hard of Hearing"
MEDIUM: "My Alarming Big, Heavy Pocketbook"
HUFFINGTON POST: "Jimmy Stewart, Hollywood's 'It's a Wonderful Life' Archangel"
MEDIUM: "My New Pencil Sharpener: What a Tool!" HUFFINGTON POST: "Mother/Daughter Car Trip Turns Into a Highway Twilight Zone"
HUFFINGTON POST: "10 Thanksgiving Tips for Turkey Day: The Joy of Fowl"
HUFFINGTON POST: "Car Talk: 'Running' Out of Gas"
HUFFINGTON POST: "Listen to Your Mom: 15 Helpful Tips for My Kids"
ARTSY.NET: Gallery Review, "Svala's Saga"
HUFFINGTON POST: "My New Year's Resolutions Are Already Old"
HUFFINGTON POST: "National Punctuation Day: Make a Dash For It!" HUFFINGTON POST: "Town Swimming Pools: A Suburban Paradise"
HUFFINGTON POST: "February: Let's Have Some Crazy Fun!" HUFFINGTON POST: "COSTCO: Bonding With a Box Store"
HUFFINGTON POST: "How Sharing Pringles Saved My Flight to Hawaii"
HUFFINGTON POST: "10 Thanksgiving Tips for Turkey Day: Keep it Real"
HUFFINGTON POST: "Empty Nest, New Beginnings"
HUFFINGTON POST: "How to Change a Conversation With One Simple Word: ANYHOO ...""
HUFFINGTON POST: "Marriage Tips: Staying True to 'I Do'"
HUFFINGTON POST: "College Grads: "Go Forth With Your Future (But First Clean Out the Refrigerator)"
HUFFINGTON POST: "From 'Mommy' to "Mother' -- A Treasured Transformation"
HUFFINGTON POST: "Lessons Learned Last Weekend From My Mom"
HUFFINGTON POST: "AT THE MOVIES: Popcorn Can Make You Insane"
HUFFINGTON POST: "Home for the Holidays: Children Back in the Nest"
HUFFINGTON POST: "Conversation Etiquette For The Holidays (And Always)"
HUFFINGTON POST: "Thanksgiving Turkey: Let's Get Fresh"
HUFFINGTON POST: "Tress Confession: Dip-Dyed and Ombré-d"
HUFFINGTON POST: "Back to School Nightmares"
HUFFINGTON POST: "You Can't Leave for College Until You Put Your Dishes in the Sink"
HUFFINGTON POST: "Don't Get Personal"
STYLELIST (part of the Huffington Post Media Group): "Heavy Baggage"
HUFFINGTON POST: "My Mother was Hijacked!" HUFFINGTON POST: "Gossip: A Lippery Slope"
HUFFINGTON POST: "In My Garden: Oh, Deer!" HUFFINGTON POST: "Ode to My Mother ... 'I Swear'"
HUFFINGTON POST: "Is Black a Fashion No-No After May 1st?" HUFFINGTON POST: "Don't be Possessed by Your Possessions"
HUFFINGTON POST: "Teach Your Children Well: The Art of Folding Laundry"
HUFFINGTON POST: "Mrs. Davy Jones 4Ever"
HUFFINGTON POST: "Parenting Adult Children: When to Stop Nagging Your 20-Somethings"
HUFFINGTON POST: "2012 Word Trends: So, Like, WhaAAahhh-T?" HUFFINGTON POST: "Fired up About Safety"
HUFFINGTON POST: "81 Years Old & the Essence of Awesomeness"
ABC-TV / "Good Morning America" segment: "Should you snoop on your kids?" BEDFORD MAGAZINE: "Looking Good: The Importance of Being Clothes-Minded"
BEDFORD MAGAZINE: "Under the Wire: An Uplifting Look at Bras"
GREENWICH MAGAZINE: Profile on Empy: "Nailing It"
GREENWICH MAGAZINE: Profile on Swim Coach Nick Cavataro: "Creating a Splash"
RECORD-REVIEW: "Discovering a Mini Moment with Fellow Mini Cooper Owners"
GREENWICH MAGAZINE: "EMPY CONSTANTE: Nailing It"
Baby Lambs: Can't You Just Hear Them Baaaaaaaaaahhhh? Bonni Brodnick Copyright 2014. Awesome Inc. theme. Powered by Blogger.